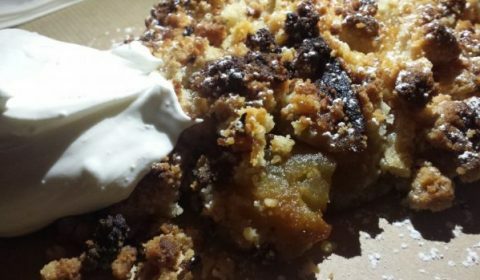 Eyal Shani’s deconstructed apple crumble, served on his ‘signature dish’…..cardboard…. Israel Good Food Guide is my way of combining my enthusiasm for both and giving you a taste of the eclectic cuisine of Israel, through news, reviews and delicious pictures of plates of art. With tips on where to buy and eat wonderful produce, both on and off the beaten track, great recipes to try and recommendations for experiencing the coffee culture, culinary tours and workshops, you will see for yourself how exciting the food of Israel really is. I will introduce you to great restaurants as well as the inspirational chefs and creators of exquisite food, so join me in meeting the ‘foodies’ of this wonderful, diverse culinary world. Previous Postfood culture in the galilee…..
Next Postthe green gems of spring….